Ergo is a replacement handle for Frigoboat's Stainless Steel cabinets. There is no spring or plastic catch in the Ergo handle. Black tip on handle's end in main image can be easily removed. 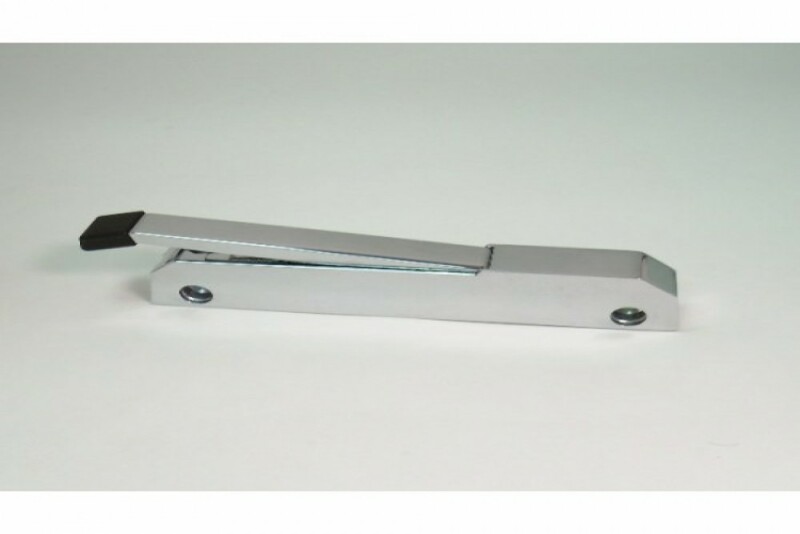 This all stainless steel handle replaces the previous design, pictured below. Ships complete with necessary hardware. Must choose left or right opening for correct mounting bracket.